Altered book. Graphite and correction fluid. 2002-2012, 8 x 5.5 x 1 in. 19th Century Artistic Anatomy book. Words were chosen with pencil, then unwanted text was 'removed' with correction fluid. Paperback book, 2014, 8 x 6 x .5 in. Edition of 100. Signed and numbered. 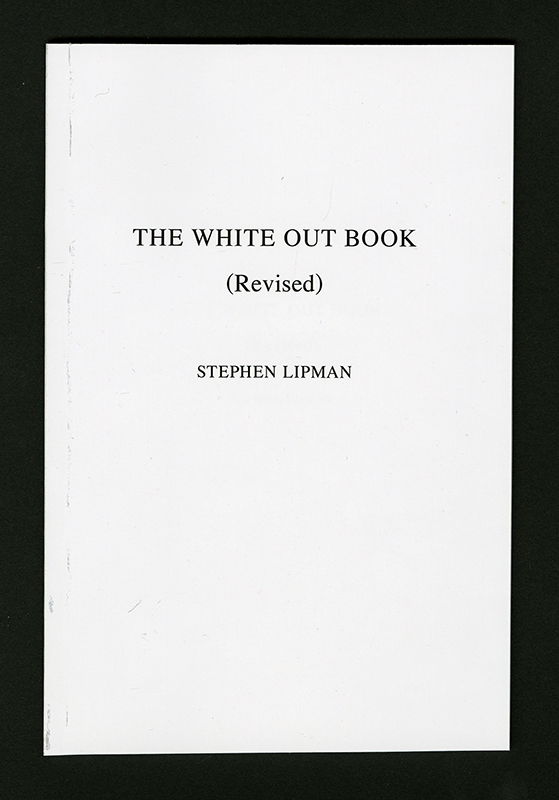 The content of this edition is from the original “The White Out Book.” Each paragraph contains the remaining text from a single page of the whited out original. Select etchings from the original are included. 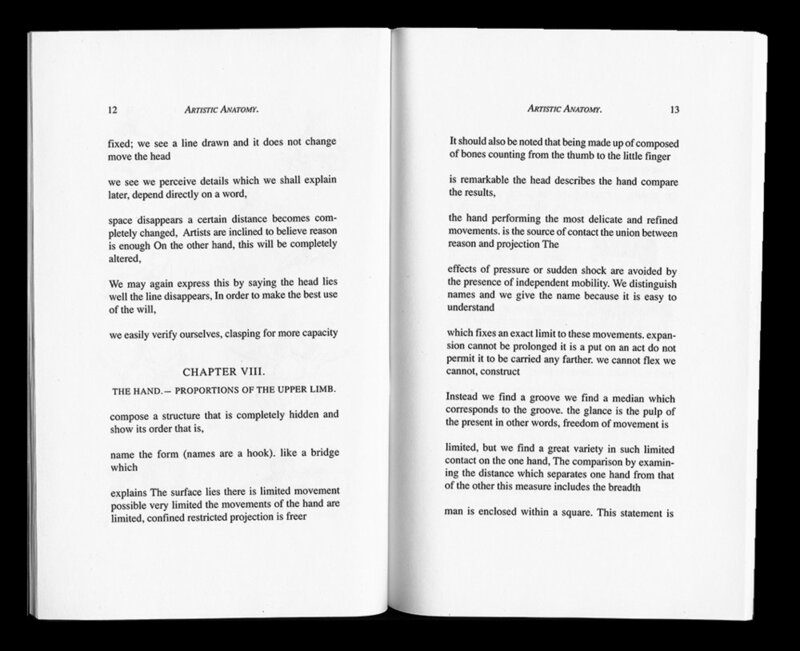 Paperback book, 2014, 8 x 6 x .5 in. 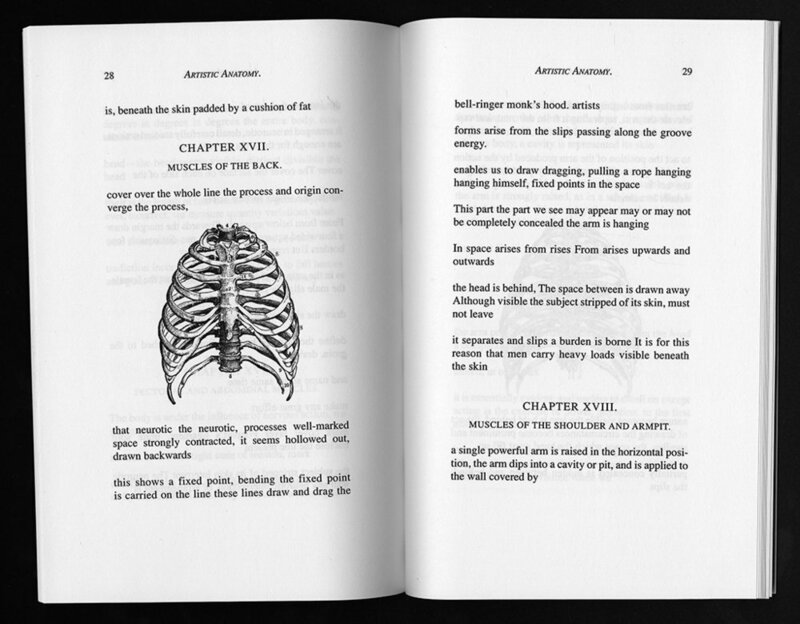 Paperback book, 2002-2014, 8 x 6 x .5 in. Edition of 100. Signed and numbered.